Hello everyone! 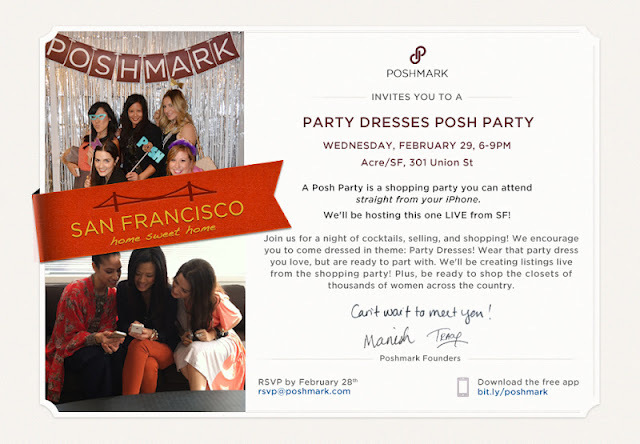 Next Wednesday, February 29th from 6 to 9PM at ACRE/SF, I, along with a few other Bay Area Bloggers & Fashionistas will be co-hosting the LIVE San Francisco Poshmark Party! If you are, or will be, in the San Francisco area that night, it would be so very awesome if you could attend! If you are not in the San Francisco area, but would still like to attend, YOU CAN! Everyone is welcome to join in on the fun. If you can't physically be there, you can join the party through your phone. Poshmark, if you haven't already heard, is a mobile application for iPhones that allows you to buy or sell any of your clothing and/or accessory items from the comfort of you own home. The application is free and you can download it in the iTunes store here. 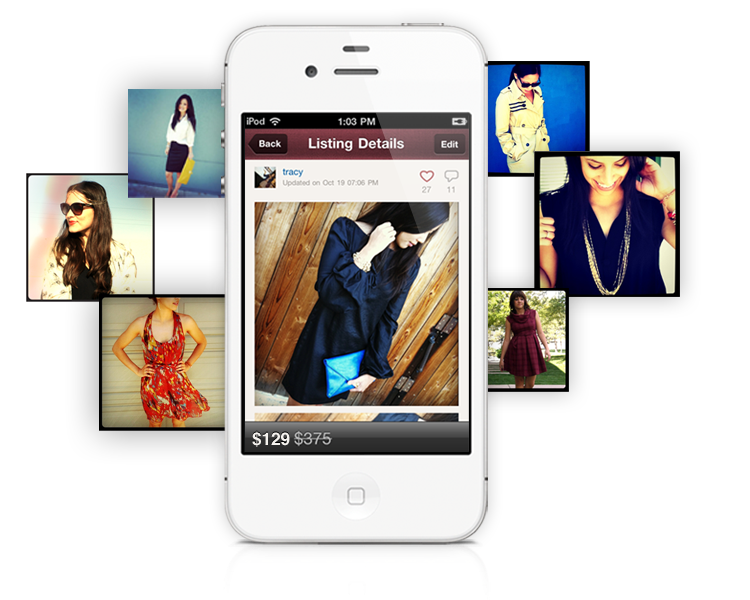 Poshmark is easy and fun to use. 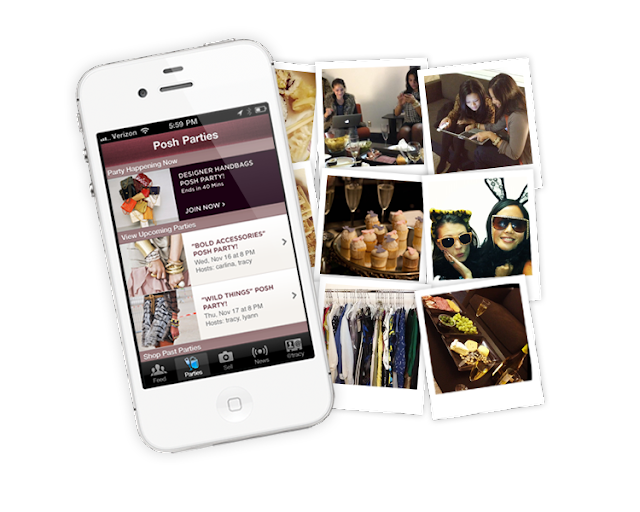 You attend themed parties, such as Designer Shoes & Handbags or Mixed Prints, through your iPhone. The theme of next Wednesday's party is PARTY DRESSES. During the event, you can buy items you like, or sell some of your own! One of the best parts about Poshmark is that you can interact with users and trust that your item is going to a good home. 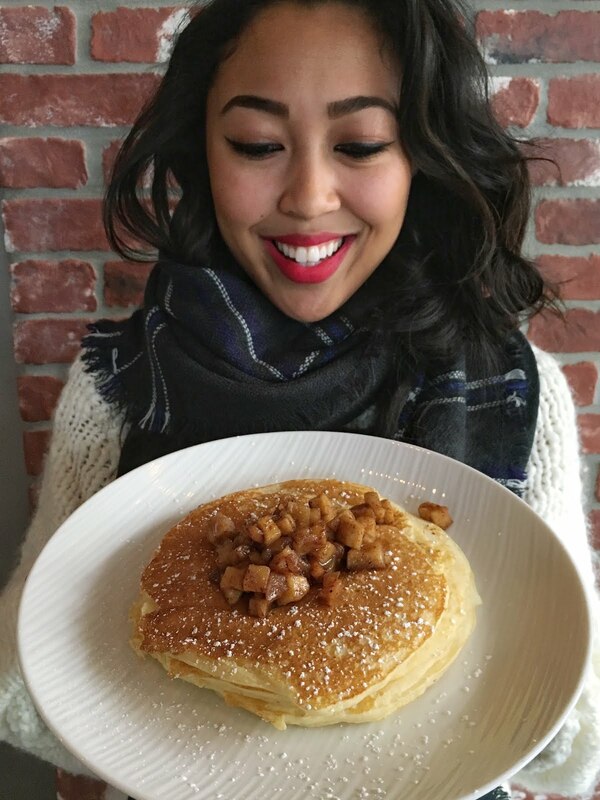 All images above via Poshmark. wish i could join! 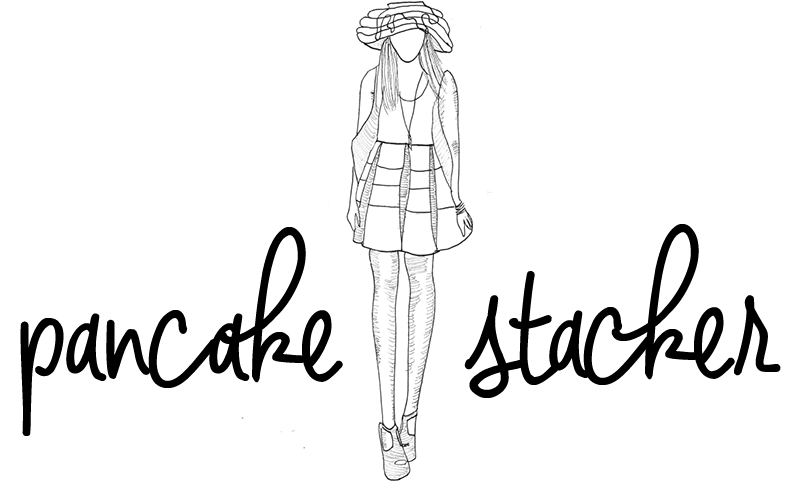 i love the name of your blog!! so cool! Wish I could be there!